I have been busy clearing out my photo collection. It’s amazing how many of the same picture I have, or just rubbish photos. Everything changed by going digital, no more rubbish and only printing out the ones I really need. However, I have found a lot of favourite photos that just sit in a box, so I have decided to post a new one every day. I am hoping to find time to make stuff to post about too!! That will probably be the next project, if something else doesn’t catch me first. 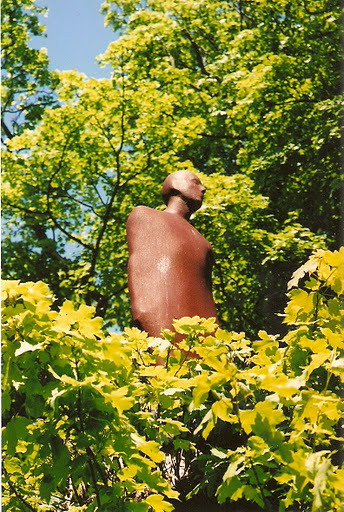 This entry was posted in photo-taking and tagged Anthony Gormley, Fred Aldous, Yorkshire sculpture park. Bookmark the permalink.